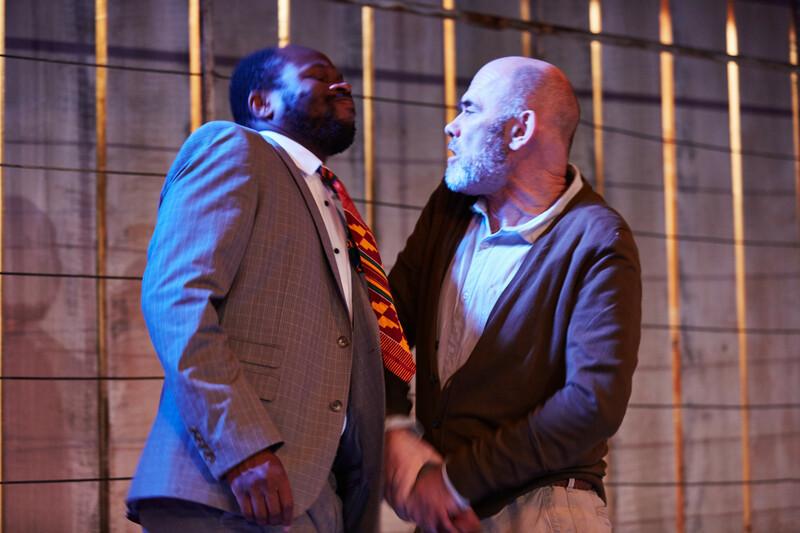 If May Sumbwanyambe’s terrific debut and Papatango new playwriting prize-winner is anything to go by, the future is not looking good for Zimbabwe. 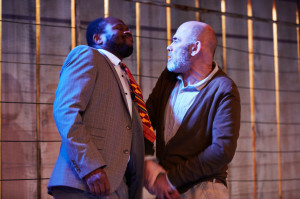 Coupled with Mongiwekhaya’s post-apartheid I See You at the Royal Court earlier this year, the prospect racially for southern Africa doesn’t bode well. The scars of colonialism and freedom battles run too deep, the blood shed too great. Sumbwanyambe, a first generation immigrant with Zambian roots, pitches his post-independence story on one Zimbabwean farm/ranch in Mugabe’s new Zimbabwe in the late 1990s. Mugabe’s policy of land `reform’ proved brutal and ultimately disastrous for its economy. But After Independence doesn’t dwell on its political consequences. Rather it focuses on the personal impact and sense of loss of identity, this time of white settlers. Sumbwanyambe tells his tale of retribution, redistribution and stubborn defiance with remarkable `balance’, the argument seen from both sides, if this time the white settlers are the ones with the sense of grievous injustice as pressure mounts coming from threatening groups outside Guy and Kathleen’s perimeter fence or at the front door in the suave but unwavering figure of Stefan Adegbola’s government official, Charles, bearing a purchase order for the sale of their farm. Back and forth goes the argument – from Peter Guinness’ grizzled landowner, Guy with his time-honoured sense of entitlement through hard work and ancestral inheritance to Charles and the righting of a wrong done from the original `theft’ of the land from its indigenous people. 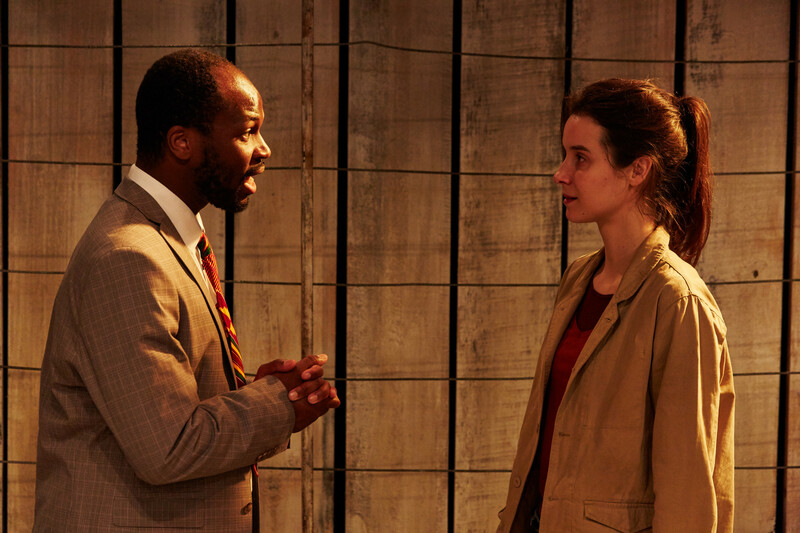 You don’t have to look very far to see all of this foretold in Lorraine Hansberry’s prescient Les Blancs (still running in Yael Farber’s terrific National Theatre revival). Sumbwanyambe also adds further tensions, between Kathleen (a superb Sandra Duncan, a lifetime of compromise etched in every crevice of her face) and their daughter, Chipo (Beatriz Romilly, equally fine) for whom sale amounts to betrayal. 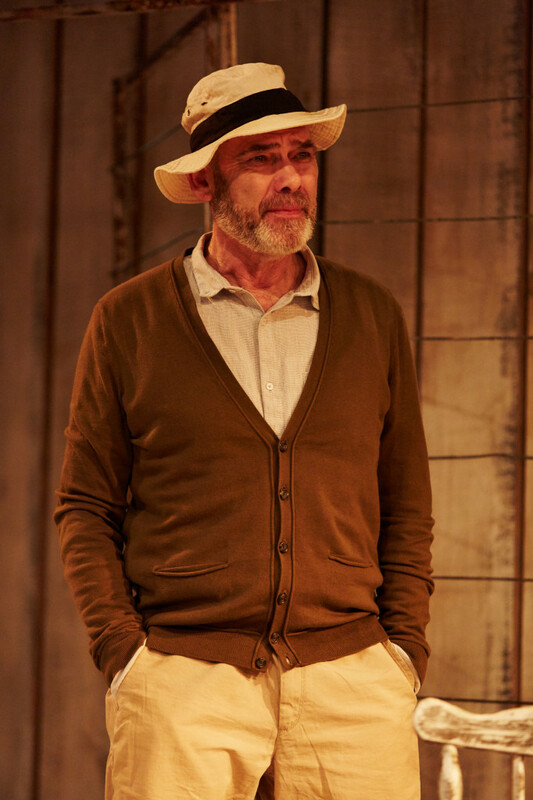 Papatango’s artistic director, George Turvey adds just the right turn of the screw in a play that speaks eloquently and sympathetically not just for the specifics of Zimbabwe’s disinherited white settlers but the plight of all those whose destruction of livelihood and home embodies their reason to exist and meanings and memories going back generations. This entry was posted in 2016, Reviews and tagged Arcola Theatre, Beatriz Romilly, George Turvey, May Sumbwanyambe, Papatango, Peter Guinness, post colonial legacies, Sandra Duncan, Stefan Adegbola on May 16, 2016 by Carole Woddis.